A Certified Floral Designer and a member of the American Institute of Floral Designers, Brad Schmidt is known for his bold and sophisticated arrangements. Watch the video to learn how Brad began his journey, what inspires him, and his creative process. Brad has been a contributing designer for Balsam Hill since 2013. 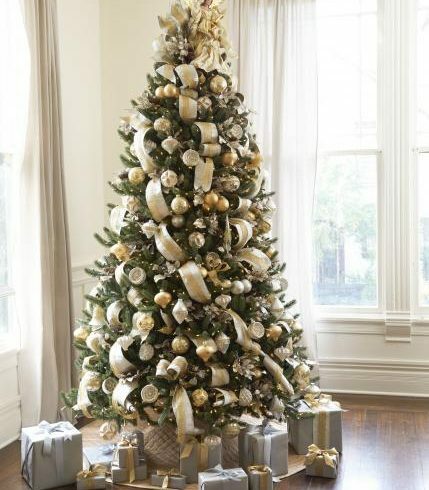 His distinct decorating style features his beautiful ribbon work and technique of clustering ornaments from top to bottom of a Christmas tree. 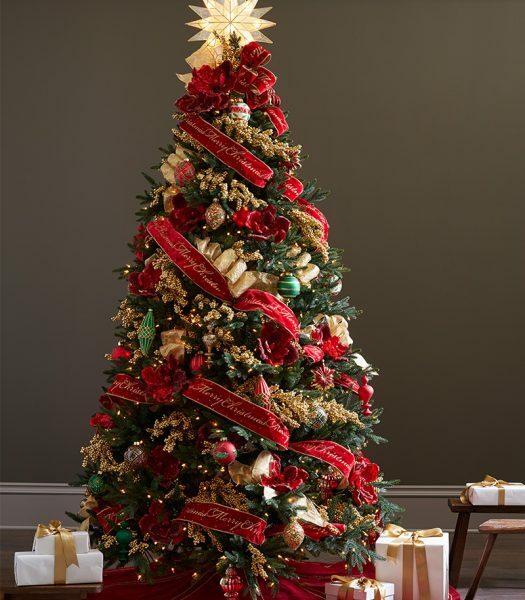 Brad went for a classic color palette of red, green, and gold with vintage-inspired touches for this Christmas Cheer Christmas tree theme. Brad decorated this Silver and Gold Christmas tree theme with metallic ornaments, gold picks, ribbon accents, and an angel topper. Brad decorated this Red, White, and Sparkle Christmas tree theme by layering ribbons, creating ornament clusters, and using floral picks as accents. 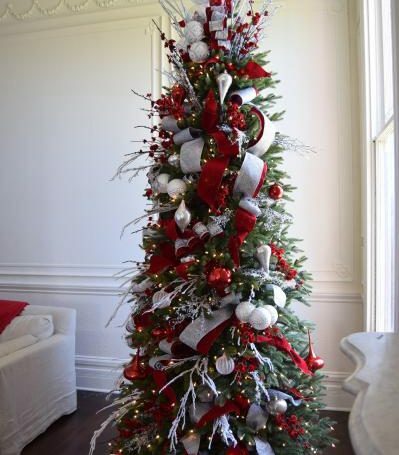 These stunning Christmas trees all showcase Brad’s signature style. They are filled with ornaments and decorations that have interesting details, but the overall looks are still clean and elegant. What Brad loves and finds most exciting is coming up with new and fresh designs each year. He constantly searches through numerous places from magazines to social media for inspiration. He also visits trade shows to find innovative ideas he can use to create his amazing pieces. Brad’s design process begins with sketches, tear sheets, and mood boards. He then closely coordinates with suppliers, traveling frequently to visit manufacturers to check up on the products he designs. The partnership has produced popular collections, such as the French Country Foliage and Apple Spice Foliage. Go to our site for featured foliage and floral arrangements and other home décor designed by Brad. Be sure to show us in the comments how they look in your home! Looking for a Payment Plan for your nutcracker. How much for total purchase and what would a monthly payment be? If you buy today, you can grab it for $399, down from $700. Please check the product page for more info.